As Scottish classical composer turned pop pioneer Anna Meredith gets set to play Liverpool’s Central Library, Getintothis’ Paul Higham encourages you all to do some further reading. Anna Meredith has not followed the familiar path to popular acclaim. Indeed hers is a most unusual career trajectory. Long frustrated at the unwillingness of the classical world to accept her more experimental tendencies she has turned her back on that snootily sneering backward looking world in which her talents too often played second fiddle to Mozart and Bach among traditional audiences. Instead, she has embraced pop music. But, Meredith being Meredith there is a catch. This is not your run-of-the-mill conventional easy-on-the-ear music. If Meredith made her name challenging classical audiences it is fair to say that she does the same in the world of popular music. Yet this is no bad thing, far from it. Where too many performers are content to follow familiar structures and to tap into the current vogue of what is popular and on trend, Meredith is adventurous, bold even. She operates at the cutting edge fusing pummelling techno-influenced beats with bright electronica and classical instrumentation. In so doing she retains classical music forms; you can sense this is carefully composed yet fragmented and dangerously inventive at the same time. Her vision of popular music embraces science fiction and draws influence from the likes of Battles and Three Trapped Tigers in its shape-shifting intensity. Her album, Varmints, positively revels in its twisted soundscapes while, at the same time, revealing her ear for infectious melody and hooks. If there are elements of restraint on record, live is she is an altogether different beast. Wild and untamed, looser and more free-form and, as she proved at End of the Road Festival, capable of creating moments of absolute euphoria as well as uneasy tensions. In a festival full of stellar performances amid a line-up of unrivalled left-field talents, to stand out from the crowd is testament to her skills as an accomplished performer and the quality of her arrangements. Meredith plays Liverpool as part of the Get it Loud in Libraries series of events that has seen the likes of former Mercury Prize winners Young Fathers, LoneLady and Frank Turner deliver memorable performances in such unusual settings. 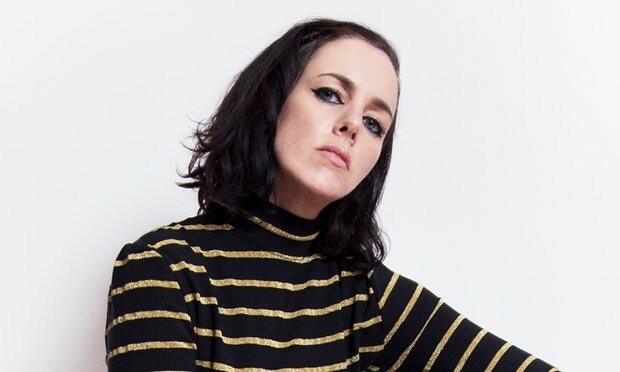 Anna Meredith plays Liverpool Central Library on Saturday October 29.